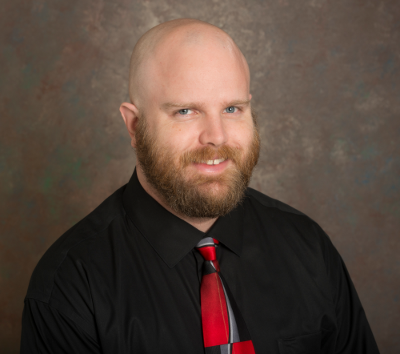 Kevin R. Guidry is the Senior Research Analyst at the Center for Teaching and Assessment of Learning. He is also a well-established higher ed blogger with a keen interest in the use of technology by students and student affairs professionals. In today’s interview, Guidry talks about how some of his views on technology in higher education have changed over the course of his career, why learning, whether online or in the traditional classroom, should always be a challenge, and his reasons for not jumping on the social media bandwagon. As most of us know all too well, the views and opinions we hold in our younger years tend to evolve and sometimes even change entirely as we gain more experience, and looking back and acknowledging those changes can often be very insightful. In Guidry’s case, he points out that his experiences as a researcher in higher education have helped him see more of the bigger picture when it comes to technology. “As I’ve become more experienced and mature as a professional and as a person, my views and interests have become broader,” he says. “In particular, I’ve become less focused on the details of technology and more focused on its impact and use. Don’t get me wrong – my technical background and knowledge of details (e.g., networking protocols, system administration) still come in handy and play an important role in how I understand things. But I’ve been able to better understand how those details function in larger systems and environments as I’ve gained more experience and knowledge. Let’s take flipped classrooms as an example. A younger me (not that I’m very old!) may have focused more on the technical details of the out-of-class experience such as recording and annotating lectures. Guidry also believes that reviewing the history of higher education and technology can help to build better understanding of how technology can and should be used in an educational setting. “The body of evidence is quite convincing that technologies rarely have an immediate and significant impact on teaching and learning. One big movement in online education right now is that of the massive open online course. As someone who is involved in teaching and assessment of learning, Guidry has a better understanding than most of what makes teaching effective, so how does he feel about this mass approach to education? “Given what I’ve said about learning and how it requires a lot of work and ideally incorporates lots of feedback and guidance, it’s hard for me to have a positive view of the dominant MOOC paradigm that focuses on recorded lectures, few opportunities to meaningfully practice the skills being taught, and poorly monitored peer feedback. I don’t think it’s very effective teaching and I agree with the widespread critiques that it replicates some of our worst practices. On the other hand, the drive to make education more affordable and much, much more accessible is an honorable drive and one that should be supported and encouraged. Even if I’m completely right about the (in) effectiveness of the current MOOC paradigm, for many participants the poor education they get with MOOCs is better than no education at all! In order for education, both in on and offline environments, to be effective, Guidry points out that it is important for the goals to be fully understood. When it comes to social media, Guidry, in contrast to the majority of education bloggers these days, isn’t a big fan of the popular offerings like Facebook, Twitter or LinkedIn. “I’m not a very active Twitter user as I’m not (a) terribly interested in sharing opinions unsupported by experience and evidence and (b) very good at saying in 140 characters the things I want to say. So how does he stay informed of what’s new and happening in higher education? “I am an avid RSS user and I regularly monitor several Twitter hashtags,” explains Guidry. “I enjoy learning from those who share well-supported, nuanced, or interesting thoughts, ideas, and experiences. But I don’t want to participate in the many echo chambers, groups, or discussions that seem to exist primarily for the sake of inflating the opinions, egos, and profiles of everyone involved. As far as students acquiring tech skills, Guidry feels that having a good grasp of technology fundamentals can be more beneficial in the long run than learning a few specific tools inside out. “I’ve been well served by having some understandings of technology fundamentals instead of focusing on specific tools that may quickly become out of date or useless,” he comments. “Knowing a little bit about how the Internet works has allowed me to understand what kinds of things are possible and easy, and conversely what kinds of things are impossible or very difficult. A tiny bit of understanding about the fundamentals of file systems has also been quite helpful in staying organized and safe; when my university experienced server issues a few weeks ago, I was able to keep working using automated backups because I know that it’s cheap and easy to create backups of files and directories. I couldn’t agree more. Too often I hear about schools (and businesses) jumping on the latest trend, and too often they spend large amount of time and money and have made no measurable impact to improve learning (or productivity). Technology can be wonderful, but it’s less about what it is and more about what it does. More schools need to focus on why they’re getting something new and the best way to maximize the benefit, a tool is only as good as the person who knows how to use it. This applies to tablets, smart-boards, intranets,email, social media and almost anything else you can think of.